We are pleased to welcome our new Pastor, Bro. 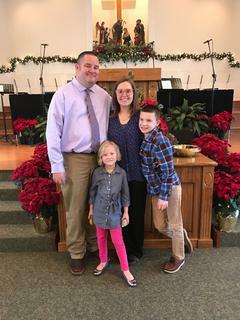 Aaron Little, and his wife, Crystal, along with their children, to Southside Baptist Church. Aaron comes to us with over 12 years of multi-generational ministry experience. He has a Bachelor of Science from Texas A&M University- Commerce and a Master of Arts in Theology from Liberty University School of Divinity. Aaron’s ministry passion is to see the church become relevant to all generations through the teaching of God’s Word and discipleship. Come and get to know him and his delightful family that the Lord has sent to us! Terry has served as the Minister of Worship since 1998. He is a graduate of Lamar University receiving a Bachelor of Science degree in Music Education in 1978 and a Masters of Music Education in 1984. He is currently the Assistant Choral Director/Accompanist for Nederland ISD. He has been in ministry since 1980. He and his wife Connie have two married daughters, two granddaughters, and two grandsons. They reside in Port Neches. Southside is pleased to have Corey Guilbeaux to lead the youth at our church. 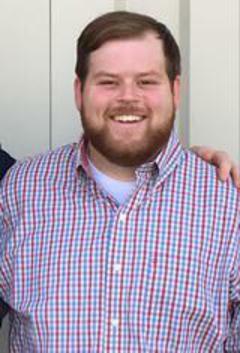 Corey has served as a summer youth intern at Southside, as well as, Northway Baptist Church in Angleton, Tx. He has helped with the youth at his home church, FBC-Orange, for five years or more. He comes with wonderful experience and recommendations, and he brings with him a desire to help youth find their purpose and place through a relationship with Christ and faith in God.